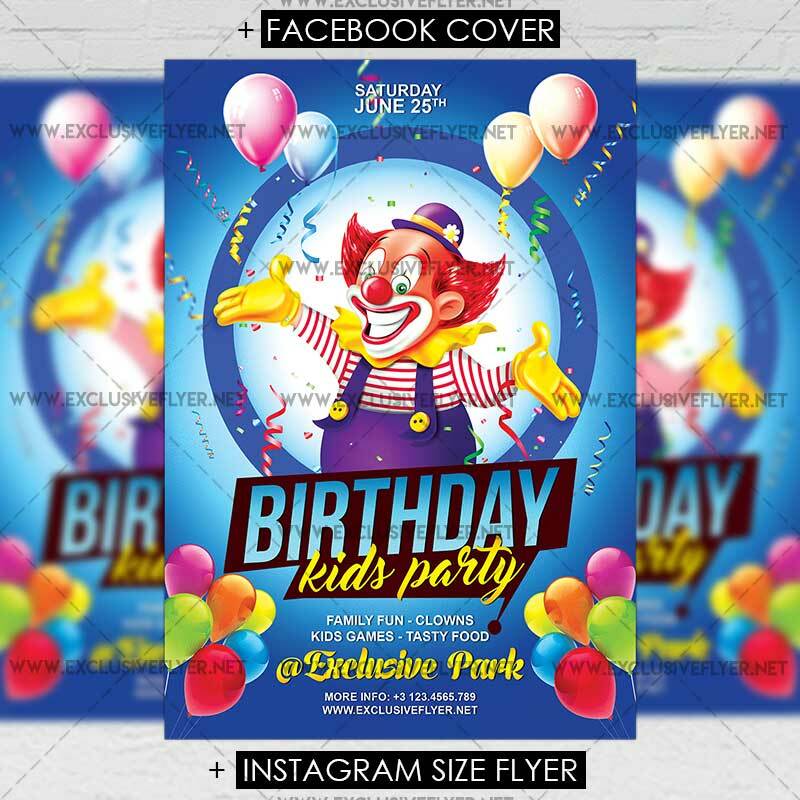 The Kids Birthday is the exclusive Photoshop PSD flyer template designed by ExclusiveFlyer to promote your Kids Birthday Party. 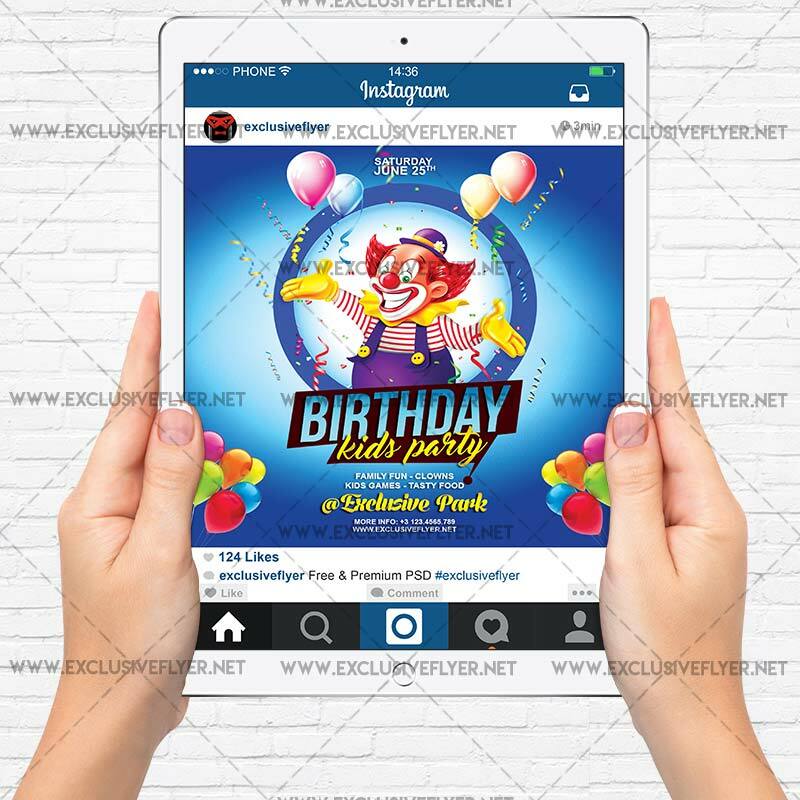 This is a modern, stylish flyer and just be used for a Kids Birthday Celebration, Kids Party, Birthday Party etc. 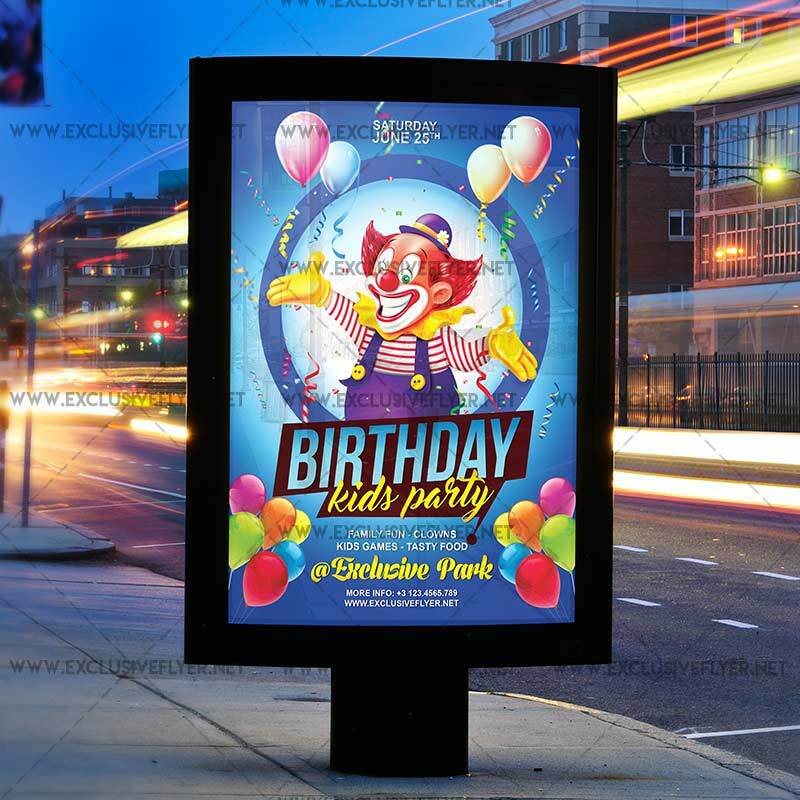 SKU: 0.1494. 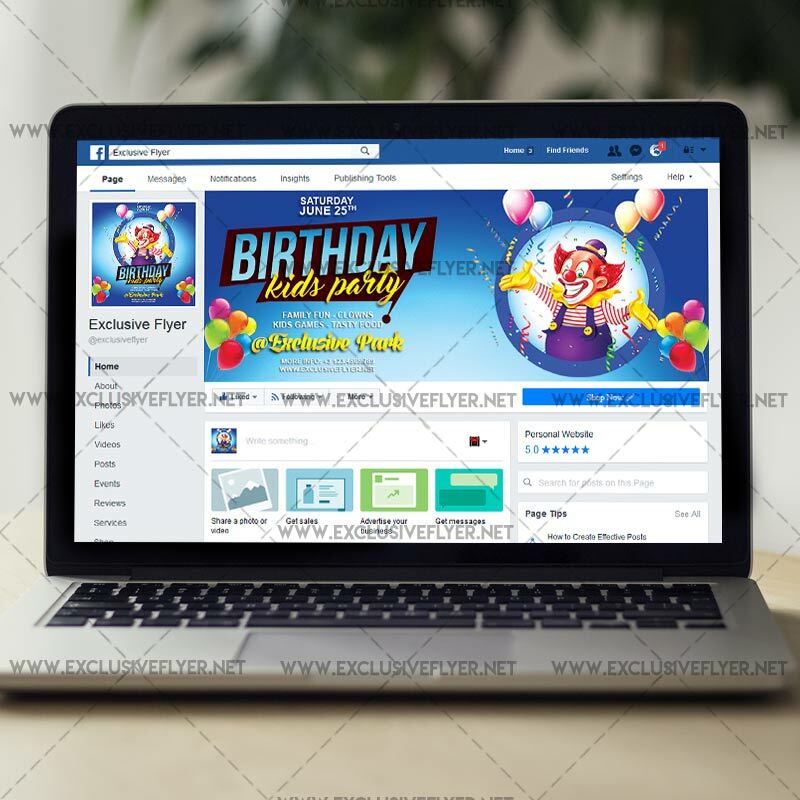 Categories: Club Flyers, Kids Flyers. 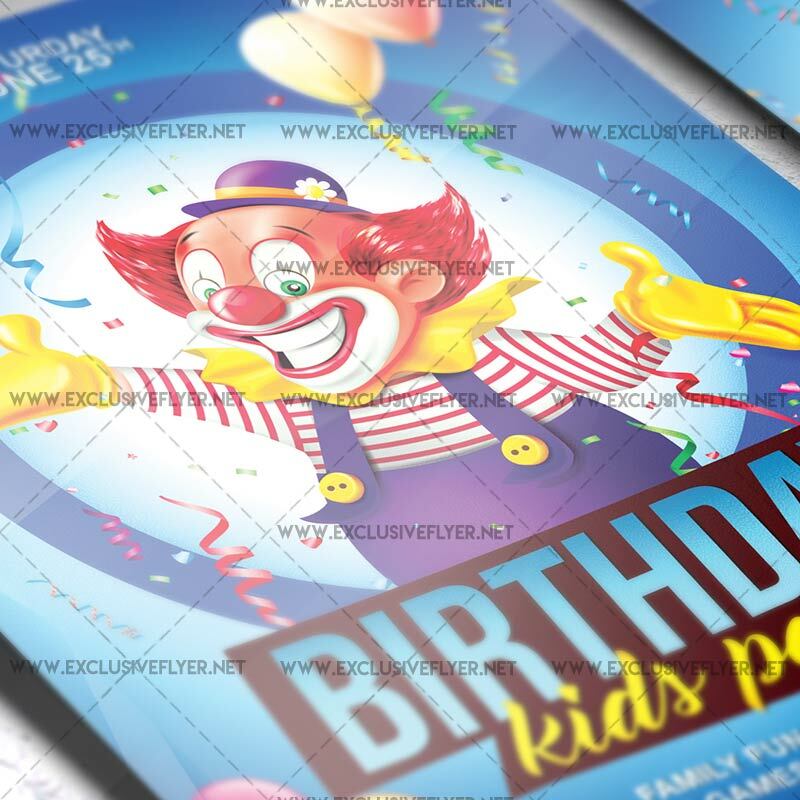 Tags: balloons, birthday celebration, children's day, clowns, family day, family fun, kids birthday party, kids day, kids games, kids party, serpantine.